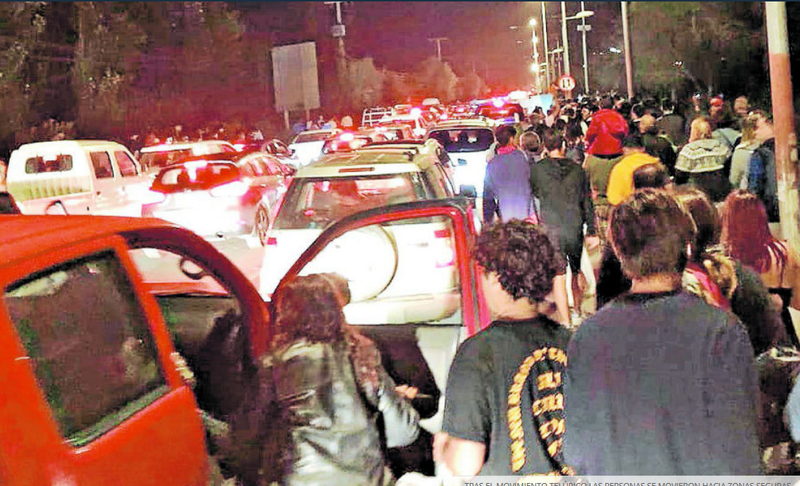 A powerful 6.7R earthquake was reported early this morning in 15km from Coquimbo, Chile, with two people reported dead and many material casualties. The images above show some early idea of the damages. 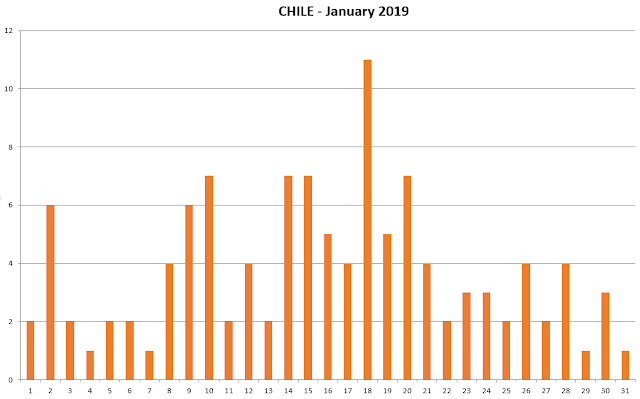 If we look at the expected Chile calendar of possible events published here, we clearly see the expected date was 18th, and it has come one day later, just within our +- 1 day approximate date tolerance. Authorities and motorists are reporting that various internal roads region were rolled such as Route 41, after the earthquake, and have called for caution. 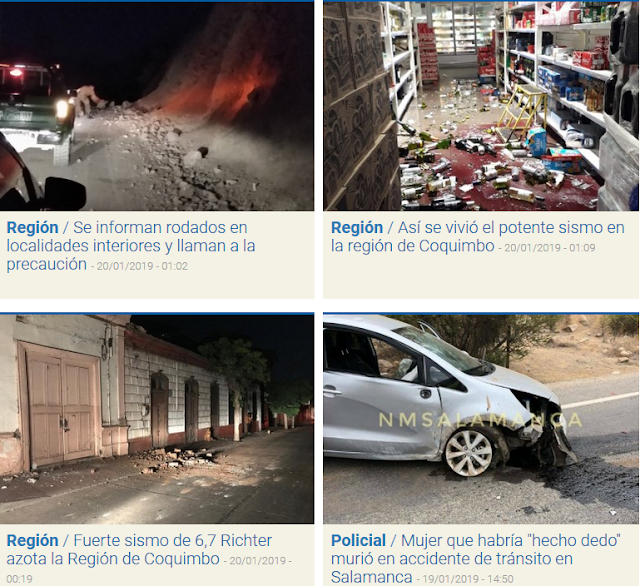 A series of aftershock tremours followed the main earthquake as shown below.